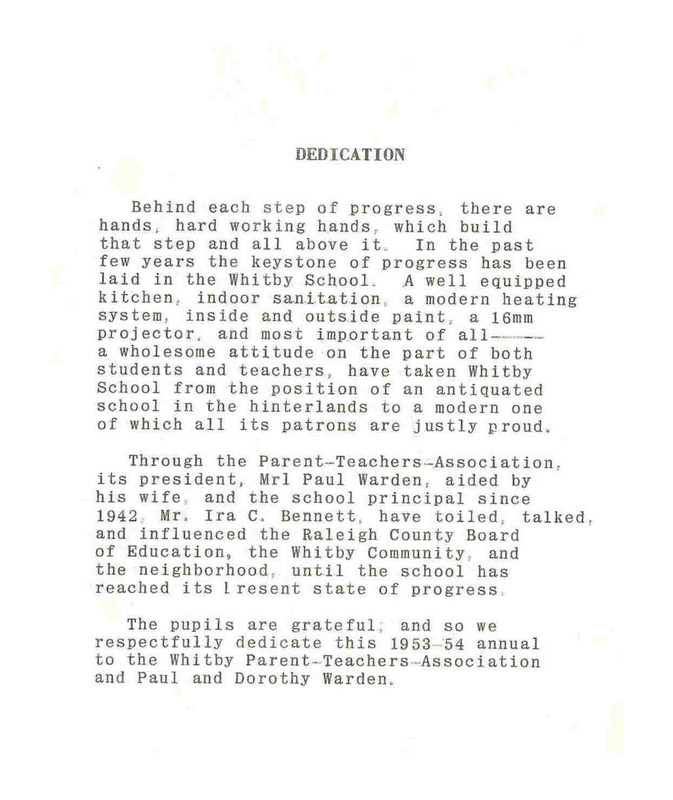 Thanks to the generosity of my Mom and the folks who are starting to write in, I thought it would be appropriate to scan the entire Whitby School yearbook for 1954. To the best of my knowledge, there was not another year. NOTE: I have scanned these images to be larger than the real thing and there will be many many updates! Additionally, I did not scan the seperator pages, joke page or advertisements in the back. Let me know if this is important and I will do what I can.